Ian Bruce Eichner, a developer whose high-profile problems became symbols of the last two real-estate busts, is in final stages of a deal to buy a condominium development site near Manhattan’s Flatiron Building. A spokesman for Mr. Eichner declined to comment. 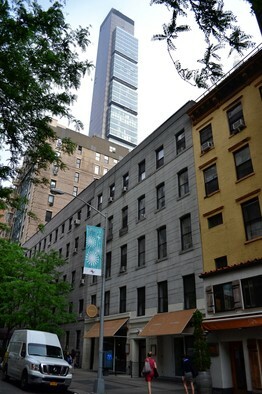 He is hoping to complete the purchase of the site and air rights in the next few weeks, the executives said. The site is owned by One Hand Realty LLC, while the air rights are from a variety of properties nearby. One Hand couldn’t be reached for comment. Mr. Eichner made a comeback with a number of successful projects and embarked on his largest-ever project in the recent boom: the giant Cosmopolitan Resort Casino hotel and casino on the Las Vegas Strip. That project, which eventually cost nearly $4 billion, ran into trouble when it was about one-third completed. It eventually was taken over by its lender, Deutsche Bank DBK.XE -2.75% AG. He also is trying to build in Harlem, N.Y. Earlier this spring, he reached a deal withVornado Realty Trust VNO +0.42% to pay $65 million for a large site on East 125th St., according to real-estate executives familiar with the deal. He plans a large apartment project on the site, where Vornado wanted to build an office tower.